People tell me that the solution in a Nikwax bottle works. But the method of application is a long, messy and incomplete product suitable for amateurs and wannabes, not a serious backpacker/outdoorsperson. Instead of being intelligent and putting their product in a bottle with a sprayer that you pump with your finger, they have this sponge applicator that is inconsistent at best. ... Unless you just squeeze the heck out of the bottle and make it drip all over the place so you can get into the tight spaces. Even then, you have to wrestle with a dripping boot. 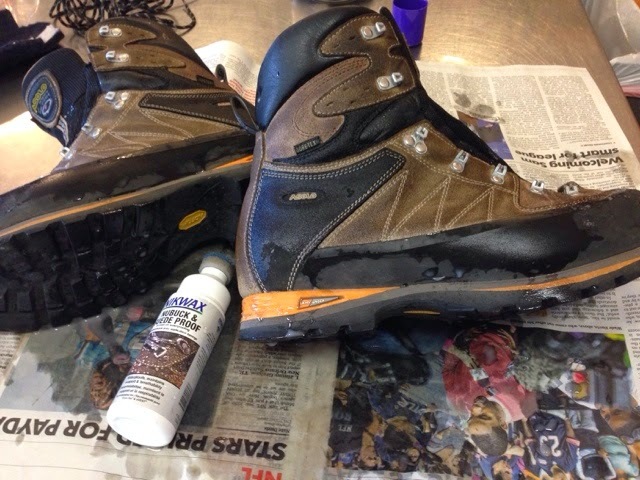 I had to go back over each boot three times in order to get the whole boot treated. In the top picture, look at all the light-colored spots. Those are from the uneven coverage that required one more treatment. 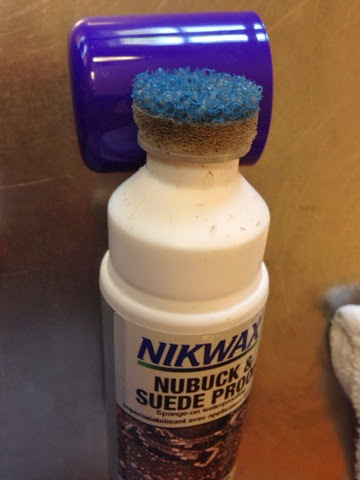 Nikwax obviously has no one with serious boots to test this on. Anyone with a recommendation for a serious, professional solution please leave a comment.